This evidence-based guideline is one of a collection of New York State Department of Health (NYSDOH) AIDS Institute guidelines on the prevention of perinatal HIV transmission and is intended to aid clinicians in the management of factors that influence MTCT during pregnancy, during labor and delivery, and in the postpartum period. Decisions regarding obstetrical procedures, modes of delivery, administration of prophylaxis during labor and delivery, breastfeeding, and pre-exposure prophylaxis (PrEP) are also addressed. NYSDOH AIDS Institute Clinical Education Initiative (CEI) Line (1-866-637-2342): Provides access (during regular business hours) to physicians experienced in the treatment of HIV. UCSF Clinical Consultation Center (1-888-448-8765): Provides free clinical consultation to providers on all aspects of perinatal HIV care and testing and is open 24 hours/7 days a week. On May 18, 2018, the FDA and the DHHS Antiretroviral Guidelines Panels issued statements in response to preliminary results from a study that reported increased risk of neural tube defects in babies born to mothers taking DTG-based ART regimens at the time of conception. Go to the FDA statement | Go to the DHHS statement (AIDSinfo). New recommendations and text addressing this issue were added to the Antenatal Management section. Offer her the opportunity to change her ART regimen. Between 8 and 14 weeks (dating ultrasound). And again, between 18 and 20 weeks (fetal anomaly scan). Clinicians should inform women taking DTG who present for care after 8 weeks gestation that the neural tube has closed, and there is no known benefit of changing from DTG at that point. Additionally, changing an effective ART regimen can be harmful (A2). Timely identification of HIV infection and initiation of antiretroviral therapy (ART) that contains at least 3 active agents, prescribed as soon as possible after diagnosis, are crucial to reducing the risk of mother-to-child transmission (MTCT) of HIV. Women who are actively engaged in their medical care with both the obstetrical team and HIV care providers, and who adhere to their ART regimens, will significantly reduce the risk of HIV transmission to their infants and will improve their own health. For additional information regarding New York State Public Health Law and NYSDOH-specific recommendations regarding HIV testing during pregnancy, see the NYSDOH AI guideline HIV Testing During Labor and at Delivery. Hyperinfectivity associated with both markedly increased viral loads (> 1 million viral copies/mm3) and increased infectiousness of the virus early in infection [Ma et al. 2009; Quinn et al. 2000]. Missed HIV diagnosis because nonspecific flu- or mono-like symptoms may not be recognized as symptoms of acute HIV infection [Chin et al. 2013]. Early diagnosis of HIV infection is an important intervention that allows providers to recommend treatment to reduce viral loads and to offer counseling for women with high-risk behaviors to reduce transmission risk to their partners [Fonner et al. 2012; Steward et al. 2009; Colfax et al. 2002]. For additional information, see the NYSDOH AI guideline Diagnosis and Management of Acute HIV. NYSDOH data demonstrate the role of acute HIV infection in the increased risk of MTCT [NYSDOH unpublished data; Patterson et al. 2007]. Repeat testing in women who test negative for HIV early in pregnancy, as well as assessment for acute infection during pregnancy, is crucial to reducing the risk of MTCT (see the NYSDOH AI guideline HIV Testing During Labor and at Delivery). Between 2007 and 2015, 9 (21.4%) of 42 perinatal transmissions to infants in New York State occurred among women who acquired HIV during pregnancy [NYSDOH unpublished data]. ART with at least 3 fully active agents that is initiated early and maintains a fully suppressed viral load in pregnant women is critical to decreasing the risk of MTCT of HIV. A high maternal plasma HIV RNA level significantly increases the risk of MTCT [Sperling et al. 1996; AIDSinfo 2016; Duri et al. 2010; Garcia et al. 1999; Mofenson et al. 1999]. In the AIDS Clinical Trials Group Protocol 076 (ACTG 076) [Sperling et al. 1996] and Women and Infants Transmission Study (WITS) [Garcia et al. 1999], the highest risk of transmission was among women with the highest HIV viral loads. The likelihood of an HIV-infected pregnant woman achieving an undetectable viral load by the time of delivery is dependent on the baseline viral load and the length of time taking and adhering to ART. In one study, timing of initiation of ART at up to 26.3 gestational weeks did not affect probability of reaching undetectable viral loads at delivery in women who had baseline viral loads <10,000 copies/mL. However, for women with viral loads >10,000 copies/mL, deferral of ART beyond 20.4 weeks reduced the probability of reaching <50 copies/mL by the time of delivery. For women with baseline viral loads >100,000 copies/mL, the probability of reaching <50 copies/mL by the time of delivery was low and dependent on the length of time the women were taking ART [Read et al. 2012]. Importantly, transmission can occur in the setting of a low maternal viral load, even among women with HIV viral loads <1,000 copies/mL [Duri et al. 2010; Read et al. 2012; Townsend et al. 2018]. Women with suboptimal viral suppression include not only those with HIV-1 RNA levels >1,000 copies/mL in late pregnancy but also those who have not received or are not receiving antenatal ART at or before labor, those who have not been adherent to their ART regimens, or those who have resistant virus. One study reported that 0.1% (3 of 2117) of infants born to women on ART with viral loads <50 copies/mL became infected [Townsend et al. 2018]. More recent data have shown that a fully active, three-drug ART regimen is most effective for preventing MTCT, with reported transmission rates of <0.5% [Townsend et al. 2014]. The recent PROMISE study also strongly supports the use of a three-drug regimen for all HIV-infected women during pregnancy [Fowler et al. 2016]. For information regarding prescribing maternal ART, see DHHS: Recommendations for Use of Antiretroviral Drugs in Pregnant HIV-1-Infected Women for Maternal Health and Interventions to Reduce Perinatal HIV Transmission in the United States [AIDSinfo 2016]. Earlier data demonstrated that the incidence of MTCT during pregnancy was 20.0% to 22.6% when women received no ART agents [Sperling et al. 1996; Cooper et al. 2002], 7.6% to 10.4% when women received zidovudine (ZDV) single-drug prophylaxis [Sperling et al. 1996; Cooper et al. 2002], 3.8% when women received two-drug ART [Cooper et al. 2002], and 1.2% when women received ART containing three or more ART agents [Cooper et al. 2002]. For women already taking ART before pregnancy, continuation of therapy throughout pregnancy plays an important role in reducing the risk of HIV transmission. Data demonstrate that treatment interruption early or late in pregnancy is associated with higher risk of MTCT [Galli et al. 2009]. In one study, MTCT did not occur among women who were taking ART before pregnancy, had viral loads <500 copies/mL early in their pregnancy, and had viral loads <500 copies/mL at delivery [Tubiana et al. 2010]. In another study, the risk of MTCT was reduced by 8% for each additional week during pregnancy that ART was taken [Hoffman et al. 2010]. No viral load threshold has been established below which the risk of MTCT is eliminated [Arvold et al. 2007], underscoring the importance of continued use of ART throughout pregnancy to maintain viral suppression that is beneath the lower limit of detection by standard quantitative HIV RNA testing. DTG Safety Statement: Preliminary results from an ongoing observational study have noted an increased incidence of neural tube birth defects involving the brain, spine, and spinal cord in babies born to women taking DTG at the time of conception or early in their pregnancy. To date, the study has reported no babies born with neural tube defects in women who started DTG later in pregnancy [FDA 2018]. Pregnant women with HIV who are taking DTG-based ART regimens and present for care within the first 8 weeks of pregnancy (dated by their last menstrual period) should be offered the opportunity to change their ART medications. Pregnant women with HIV currently taking a DTG-based ART regimen who present after 8 weeks should not stop their medications because the neural tube is closed at that point and the risk to the fetus of changing effective maternal ART medications may outweigh the benefit. Women exposed to a DTG-based ART regimen early in pregnancy can be offered a first-trimester ultrasound scan to assess for neural tube closure as well as a follow-up ultrasound between 18 and 20 weeks gestation [AIDSinfo 2018; FDA 2018]. Healthcare providers are encouraged to report all pregnancy data to the Antiretroviral Pregnancy Registry. Data are limited regarding MTCT associated with invasive diagnostic procedures such as amniocentesis and chorionic villus sampling in HIV-infected women. In the largest case series conducted during the era of combination antenatal ART, no perinatal HIV transmission occurred among 81 mothers who received amniocentesis while using effective ART [Mandelbrot et al. 2009]. Other, smaller studies have had similar results. Transplacental amniocentesis should be avoided if possible. Although no data exist regarding the risk of chorionic villus sampling in HIV-infected women, MTCT may be increased because of the likelihood of comingling of maternal and fetal blood with this procedure. Intrapartum fetal scalp blood sampling, the use of fetal scalp electrodes for fetal heart rate monitoring, and intrauterine pressure catheters to monitor contractions may increase the risk of MTCT and should be avoided if possible [AIDSinfo 2016]. Low CD4 cell count is not an independent risk factor for MTCT [Goetghebuer et al. 2009]. Conversely, a high CD4 cell count does not confer protection from MTCT. ART with three fully active antiretroviral agents for the prevention of MTCT is recommended for all pregnant HIV-infected women, regardless of CD4 count. Herpes simplex virus (HSV): Although some data suggest that risk of MTCT may be increased in women who are co-infected with HIV/genital HSV and particularly in the presence of genital HSV viral shedding [Bollen et al. 2008; Drake et al. 2007], no data support the use of HSV-suppressive medication to prevent perinatal HIV transmission. However, HSV-suppressive therapy during pregnancy has been shown to decrease the risk of HSV recurrence at the time of delivery by 75% and hence to reduce the rate of cesarean delivery for recurrent genital herpes lesions by 40% [Sheffield et al. 2003]. Other coinfections: Results from some studies have shown that chorioamnionitis and placental inflammation are associated with perinatal transmission of HIV [Bhoopat et al. 2005; Mwanyumba et al. 2002]. Maternal co-infections with syphilis [Yeganeh et al. 2015], gonorrhea [Adachi et al. 2015], chlamydia [Adachi et al. 2015], and hepatitis C virus (HCV) [Hershow et al. 1997] are also associated with an increased risk of HIV transmission, and women with HIV/HCV co-infection have a significantly higher risk of perinatal HCV transmission [Ngo-Giang-Huong et al. 2010]. However, no proven benefit to cesarean delivery has been demonstrated for preventing perinatal HCV transmission among these patients [Cottrell et al. 2013; Ghamar Chereh et al. 2011]. Cesarean delivery solely for the presence of other STIs, excluding HSV, is also not warranted. New York State Department of Health (NYSDOH) AIDS Institute. Unpublished data. *Although additional IV ZDV is not harmful to HIV-infected pregnant women who do not meet the criteria above, it is not required because it does not confer additional benefit in prevention of MTCT [Briand et al. 2013b; Wong 2011]. With fully suppressive maternal ART, a low incidence of MTCT can be achieved regardless of mode of delivery. In a European surveillance study, no statistically significant difference was found in transmission rates between women taking ART during pregnancy who had a scheduled cesarean delivery and those who had a planned vaginal delivery [Townsend et al. 2008]. A meta-analysis of 15 cohort studies of perinatal HIV transmission in which women received either no ART or received ZDV monotherapy prophylaxis reported that scheduled cesarean delivery before the onset of labor or rupture of membranes was associated with an approximately 50% decrease in transmission regardless of whether ZDV was given during delivery [International Perinatal HIV Group 1999]. The rate of HIV transmission for scheduled cesarean delivery without the use of ZDV prophylaxis was 10.4%, and the rate of transmission for other modes of delivery without the use of ZDV prophylaxis was 19.0%. Among all mother-child pairs given ZDV prophylaxis during the prenatal, intrapartum, and neonatal periods, 13.5% had scheduled cesarean deliveries and 86.5% had other modes of delivery. The incidence of transmission was 2.0% for those with cesarean deliveries and 7.3% for those who had other modes of delivery. Currently, both the American College of Obstetricians and Gynecologists [ACOG 2001] and the US Department of Health and Human Services [AIDSinfo 2016] recommend that HIV-infected pregnant women with suboptimal viral suppression (>1,000 copies/mL) should be counseled regarding the benefits of a scheduled cesarean delivery and that scheduled cesarean deliveries should be performed at 38 weeks’ gestation. This Panel also recommends cesarean delivery for patients who have missed multiple medical visits or report nonadherence to antiretroviral medications during the 4 weeks prior to delivery. Patients who meet all of the criteria for optimal viral suppression have a very low risk of MTCT. Studies do not indicate that cesarean delivery confers significant additional benefit for prevention of MTCT in this group compared with vaginal delivery [Townsend et al. 2014; Briand et al. 2013a; Boer et al. 2007]. Scheduled cesarean delivery is not routinely recommended [ACOG 2001; AIDSinfo 2016]. Mode of delivery should be determined by the woman in consultation with her obstetrical care provider and should be based on the benefits for prevention of MTCT and the potential risks associated with cesarean delivery. An association between cesarean delivery and reduction in the incidence of MTCT has not been demonstrated after the onset of labor or duration of ruptured membranes ≥4 hours. When a provider anticipates a long period of labor after the rupture of membranes, the use of adjuvant therapy, such as oxytocin, to reduce the length of labor should be considered. For women who report adherence to their prenatal ART and have documented HIV RNA levels ≤1,000 copies/mL within 4 weeks of delivery, the decision to perform a cesarean delivery is based on standard obstetrical indications. 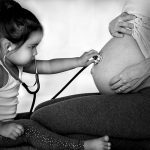 If vaginal delivery is chosen, invasive fetal/uterine monitoring should be avoided. In the pre-combination ART era, several perinatal transmission studies reported a positive association between transmission risk and duration of ruptured membranes prior to delivery [Garcia-Tejedor et al. 2003; International Perinatal HIV Group 2001]. For women whose viral load is not fully suppressed, clinicians should delay rupture of membranes as long as possible to decrease the risk of MTCT. However, no association has been established between duration of membrane rupture and MTCT in virally suppressed women receiving combination ART [Cotter et al. 2012; Mark et al. 2012; Peters et al. 2016]. Standard obstetrical indications for rupture of membranes for all pregnant women are appropriate in the setting of full viral suppression. Nevirapine: Single-dose maternal nevirapine is no longer recommended as part of MTCT prophylaxis for women in New York State. Stavudine or didanosine: The combination of stavudine and didanosine is contraindicated during both pregnancy and labor. Fatal lactic acidosis and pancreatitis have been reported in pregnant women who received combination stavudine/didanosine with other ART agents [AIDSinfo 2016; Bristol-Myers Squibb 2001; Sarner and Fakoya 2002; Mandelbrot et al. 2003]. These drugs are rarely prescribed, and neither agent should be initiated in ART-naïve HIV-infected patients. The purpose of IV infusion of ZDV is to ensure adequate infant drug levels when exposure to HIV occurs during the birth process. ZDV rapidly crosses the placenta to the infant, and IV infusion ensures that drug levels in the mother and the fetus do not fluctuate as they may with oral administration. In the ACTG 076 trial, IV ZDV during labor and delivery for all pregnant HIV-infected women, along with oral antepartum ZDV administration to the mother and postpartum administration to the infant, reduced perinatal transmission by 68% [Connor et al. 1994]. Further reductions in perinatal transmission have been achieved with the use of maternal ART regimens that include at least three active antiretroviral agents [Townsend et al. 2014]. Such combination antiretroviral agents are recommended for treatment and prevention of MTCT for all HIV-infected pregnant women (see DHHS: Recommendations for Use of Antiretroviral Drugs in Pregnant HIV-1-Infected Women for Maternal Health and Interventions to Reduce Perinatal HIV Transmission in the United States). IV ZDV should be available for immediate use in all labor and delivery settings to ensure sufficient levels of prophylaxis during delivery. Based on data demonstrating a reduction of MTCT with the use of IV ZDV in women with HIV RNA viral loads >1,000 copies/mL [Cotter et al. 2012; Briand et al. 2013b; Wong 2011], this Panel and other guideline committees [AIDSinfo 2016] recommend IV ZDV during labor and delivery for HIV-infected pregnant women with any factor associated with suboptimal viral suppression. This prophylaxis is especially important for women who did not receive ART during pregnancy or who received ART but did not achieve complete viral suppression by the time of delivery. Most MTCT occurs during labor and delivery [Sturt et al. 2010]. Although intrapartum IV ZDV will not prevent MTCT before labor, ZDV crosses the placenta rapidly and may provide sufficient systemic drug levels in the infant to prevent infection during labor and delivery [Petra Study Team 2002; Gray et al. 2005; Jackson et al. 2003]. IV ZDV is most effective in reducing MTCT when it is administered to the mother continuously for at least 3 hours prior to delivery; if labor lasts longer than 3 hours, IV ZDV should be administered for the entire duration. Nonemergency cesarean deliveries should be scheduled to begin after 3 hours of IV ZDV administration. However, maternal or fetal clinical circumstances may dictate the need for delivery before the 3 hours of IV ZDV administration is complete. Clinicians should administer infant prophylaxis for prevention of MTCT to all HIV-exposed infants as soon as possible after birth, and within 12 hours (A2) but preferably within 6 hours. For regimen and dosing information, see the NYSDOH AI guideline Care of the HIV-Exposed Infant with Indeterminate Status and DHHS: Recommendations for use of antiretroviral drugs in pregnant HIV-1-infected women for maternal health and interventions to reduce perinatal HIV transmission in the United States). The addition of ART agents to an infant’s postnatal ZDV regimen can further reduce MTCT for infants born to mothers who received no antepartum antiretroviral drugs or who had suboptimal virologic suppression [Nielsen-Saines et al. 2012]. Consultation with an experienced pediatric HIV care provider as soon as possible, preferably before labor, enables determination of an effective regimen for infant antiretroviral prophylaxis. This is particularly crucial when the woman: 1) is diagnosed with HIV infection during labor, or 2) did not have prenatal care or antenatal ART prior to presenting in labor, or 3) has unsuppressed virus, or 4) has ART-resistant virus. Clinicians in communities without an experienced pediatric HIV provider can obtain free expert consultation from the National Perinatal HIV Hotline (1-888-448-8765) 24 hours/7 days a week or from the NYSDOH AIDS Institute Clinical Education Initiative (CEI) Line (1-866-637-2342) during regular business hours. For further information about antiretroviral prophylaxis and care for infants, see the NYSDOH AI guideline Care of the HIV-Exposed Infant with Indeterminate Status and DHHS: Recommendations for Use of Antiretroviral Drugs in Pregnant HIV-1-Infected Women for Maternal Health and Interventions to Reduce Perinatal HIV Transmission in the United States. In the United States, breastfeeding by HIV-infected women is not recommended, even when the mother is taking combination ART and/or her viral load is undetectable [Committee on Pediatric AIDS 2013]. Although preliminary data support that maternal ART used during breastfeeding decreases MTCT, the data have not been fully analyzed and additional research is needed [Taha et al. 2016]. Increased risk of HIV transmission via breastfeeding is associated with higher levels of HIV RNA in breast milk [Kuhn et al. 2009; Bulterys et al. 2010], with inflammation of the breast (mastitis) [Bulterys et al. 2010], longer duration of breastfeeding as the infant ages [Kuhn et al. 2009; Bulterys et al. 2010], and resumption of feeding after abrupt weaning [Bulterys et al. 2010]. Breast milk HIV RNA is higher in women with higher viral loads, particularly during acute infection. A breastfeeding woman with previously negative HIV test results should be assessed for acute HIV infection when presenting with symptoms suggestive of acute retroviral syndrome (see the NYSDOH AI guideline Diagnosis and Management of Acute HIV). HIV RNA is also higher in colostrum than in mature breast milk, and HIV RNA increases in the setting of low CD4 counts. Nevertheless, breast milk transmission of HIV may occur at any time during breastfeeding [Rousseau et al. 2003]. Several studies have shown that the longer an infant breastfeeds, the greater the risk of transmission [Nduati et al. 2000; Shapiro et al. 2010]. Although the risk of MTCT is significantly lower with the use of combination ART and an undetectable viral load, neither infant antiretroviral prophylaxis nor suppressive maternal postpartum ART completely eliminates the risk of HIV transmission through breast milk [Committee on Pediatric AIDS 2013]. Even when plasma viral load is undetectable, viral load variation in breast milk is unknown. Therefore, HIV-infected mothers in the United States should not breastfeed, regardless of maternal viral load or ART regimen [Humphrey et al. 2010]. A risk-reduction plan is essential for women who have high-risk factors for acquiring HIV infection but wish to breastfeed. Women in whom breastfeeding should be delayed may temporarily pump and discard breast milk to maintain lactation. Once HIV infection is definitively excluded, or once a risk-reduction plan is in place for those at current high risk for HIV acquisition, breastfeeding may be initiated. For some HIV-infected women who have not disclosed their HIV status to family members or friends but are from cultures in which breastfeeding is customary or have been educated that breastfeeding is essential for the health of their infants, lack of disclosure presents a challenge when explaining the choice not to breastfeed [Greene et al. 2016]. Encouraging a new mother to develop, in advance, an explanation for not breastfeeding may help her to avoid disclosing her HIV status. Breastfeeding mothers who develop acute HIV infection are at high risk for transmitting HIV to their infants because of the elevated viral load associated with acute HIV infection [Humphrey et al. 2010; Liang et al. 2009; Committee on Pediatric AIDS 2013]. To reduce the incidence of acute infection in breastfeeding mothers, and subsequent transmission to their infants, a risk-reduction plan should be in place for those who have current high-risk factors for HIV acquisition, such as a new diagnosis of a sexually transmitted infection, injection drug use, or a partner known to be infected with HIV. Appropriate follow-up and, when possible, involvement of the woman’s partner and others in her support network are necessary before breastfeeding can be recommended. Development of a risk-reduction plan also offers the opportunity to discuss the use of PrEP with tenofovir disoproxil fumarate/emtricitabine (TDF/FTC). PrEP is an intervention for non-HIV-infected individuals that is used to reduce their risk of acquiring HIV infection by using antiretroviral medications. PrEP has been shown to be effective in significantly decreasing the risk of HIV transmission in heterosexual serodiscordant couples [Baeten et al. 2012]. Data also demonstrate a 92% to 96% reduction in HIV transmission risk in serodiscordant heterosexual relationships when the HIV-infected partner has been virally suppressed for at least 6 months [Donnell et al. 2010; Cohen et al. 2011]. PrEP drug exposure to the infant though breastmilk is much lower compared with exposures that occur in utero; evidence to date suggests that use of TDF is safe during breastfeeding [Liotta et al. 2016; Ehrhardt et al. 2015]. Longer-term follow-up studies of TDF-exposed infants are ongoing and will provide further information to guide clinicians and women on the use of PrEP in this setting. TDF/FTC is commonly prescribed as part of an ART regimen before, during, and after pregnancy. Although limited data on breastfeeding effects exist, the benefit of preventing MTCT among women at high risk for HIV infection outweighs the theoretical concerns associated with prescribing TDF/FTC as PrEP during breastfeeding. Information regarding medications used during breastfeeding is available through the LactMed database. For more information regarding the use of PrEP, see the NYSDOH AI guideline PrEP to Prevent HIV Acquisition. Other than discontinuing breastfeeding, optimal strategies have yet to be defined for managing breastfeeding infants born to mothers with previously undiagnosed HIV infection, including women who acquired their infection late in pregnancy or after delivery [AIDSinfo 2016]. Some experts would consider the use of three-drug post-exposure prophylaxis (PEP) in infants for 4 to 6 weeks after breastfeeding is discontinued and after an initial diagnostic test is obtained to determine the infant’s HIV infection status. However, in comparison with other types of non-occupational exposures, PEP is less likely to be effective in this setting because the exposure to breast milk is likely to have occurred over an interval of time rather than after a single exposure [AIDSinfo 2016]. To determine whether PEP is indicated for an infant who is exposed to HIV through breast milk, clinicians should consult with a pediatric provider who has experience with HIV treatment and management.